Once upon a time, I went to college. Embarrassing, but not really crazy. 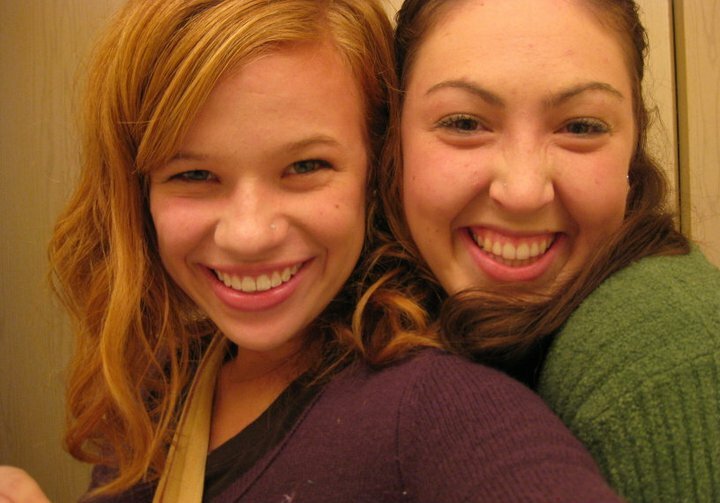 Anyway, Molly and I both really REALLY wanted to get our noses pierced that year. Apparently, we're not the sort of people to make an impulse decision (plus, it costs $50. $50 is a COMMITMENT.) because we did not get our noses pierced during our first year. We did, however buy glue and a package of rhinestones commonly used as nail art. And then we... well, we glued little rhinestones to our noses just to get the effect. We LOVED the effect. 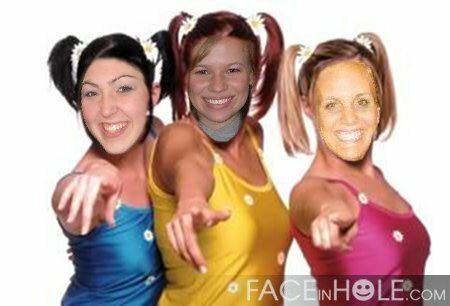 But we never really had $50 dollars and we weren't sure what our dads would say, so we stuck with rhinestones that kept falling off our faces. So on and off, we would talk about piercing our precious little noses. Friends began to pierce them and we thought that maybe we'd look too much like we were following another trend. Still, we thought about it. Time passed, and we laughed about our rhinestone days. More time passed, and we both got married. We still talked about our noses. Fast forward to our senior year. I asked Carson what he thought about my nose getting pierced (I showed him the picture I just showed you) and he said he liked it. I told Molly and we decided that the time had come (this was probably early 2011). I really don't think I've communicated it enough here, but I am scared of needles and sometimes hyperventilate after I have blood drawn. I also happen to know that they don't use a staple gun on your nose like they do with ears - they use a needle. So we discovered that one of the piercing places nearby had $10 off on Tuesdays. Tuesday it was. Carson was working, and just in case I'd decide to chicken out, I risked the embarrassment of telling him what I was going to do. Days before, I asked for his permission, just to be clear. "So, if I were serious about getting my nose pierced, what would you say? Are you really okay with it? Because I think this time I'm serious." And he said go for it (I don't think he actually cared at all). Molly and I went to the mall, full of trepidation. Well, I was. 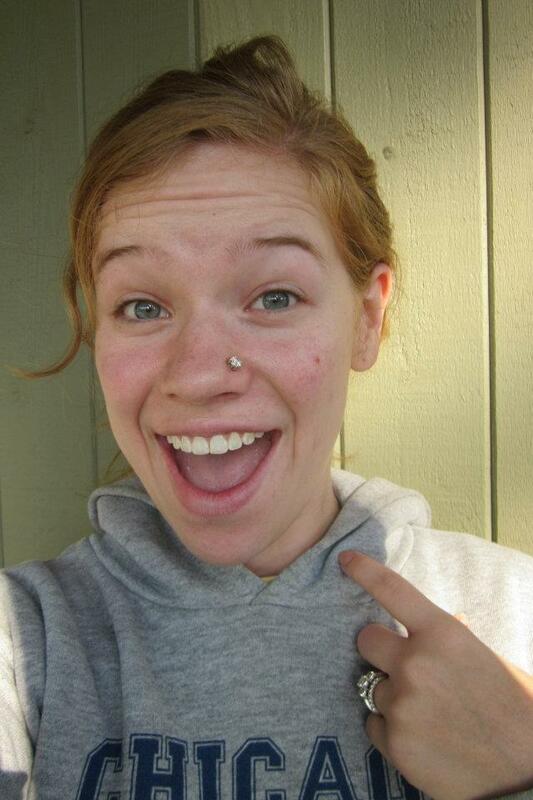 She'd decided not to pierce her nose after all. I signed medical releases (scary) and we went into a little room. I had my nose marked with a marker to show where the piercing would go. I okay'd the spot, then they cleaned my nose with a q-tip (I don't think I would like cleaning noses and such as part of my job. I bet they see really gross things. ), stuck a little tube up my nose (it was weird), and told me to close my eyes (if I can't see the needle, maybe I won't know it's there). She said "I'm going to count to three and then you'll feel a pinch. "1... pinch". Smart going, lady. I didn't even have time to tense up. It pinched and made my eyes water and then I was told (this is tmi) that it was "gushing" so I kept a cotton ball on it. So after that, we went to get ice cream (we'd saved $10, remember?!) to celebrate the accomplishment of a first-year goal... three years later. I loved it. Carson was surprised that I went through with it but said he liked it too. I would have expected that I was responsible enough for such a piercing. And I was, for exactly three days. I went on a retreat and was toweling off after a shower when suddenly - ow! My nose ring came out and I couldn't get it back in (it was the corkscrew kind and I still don't know how to work them). I used the only substitute I had - a real earring, which seemed normal-sized on my ear, but was ridiculous on my nose. Someone called "diva" because of my bling and everyone laughed at me. I deserved that. But then one Tuesday later, we found ourselves in that very same little room for Molly - who'd decided to get her tragus (the little flap thing on your ear) pierced. I imagine that hers was much more painful, but she has the highest pain tolerance ever so it wasn't a big deal. Anyway, that's the story of how crazy we were in college.